Morning guys! I wanted to share some of the new things in my wardrobe that I have been very kindly sent that I feel particularly excited about. 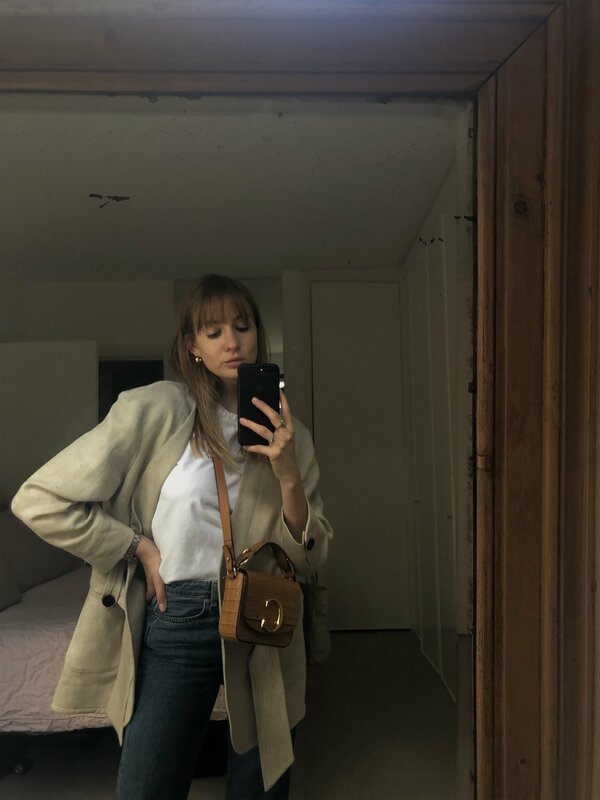 All with some simple mirror selfies because sometimes simple is just the best, also the weather in London is crazily unpredictable to impossible shoot in! First up are some Sergio Rossi heels. They opened a new shop on Mount St in London which I was invited to, and got to pick out some shoes at the store before the event! I have some mega fancy sparkly heels from them from when I went away to Bologna with them last year, and they are as comfy as a heel of that style can be, so I knew I wanted some more heels! 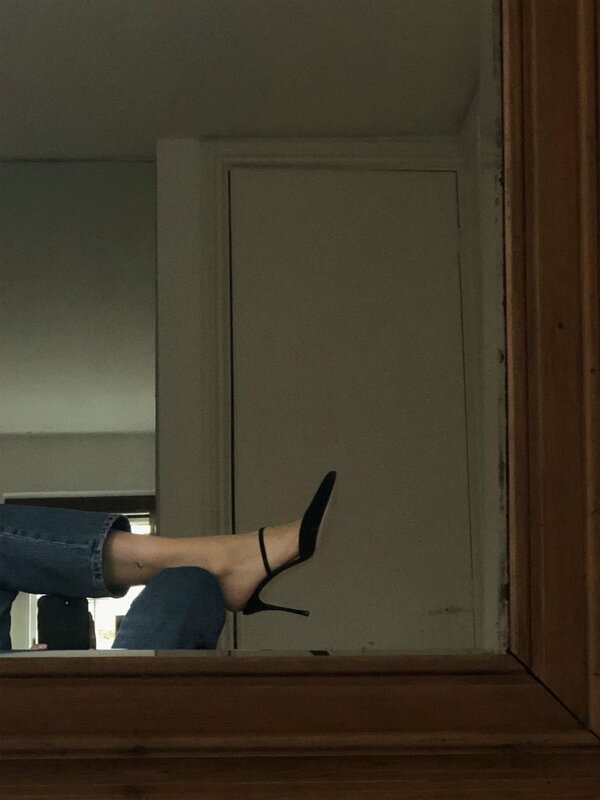 I opted for these black suede pointy ones with the strap across the foot- it does really help with keeping the shoes on so your heel isn’t flapping about constantly. 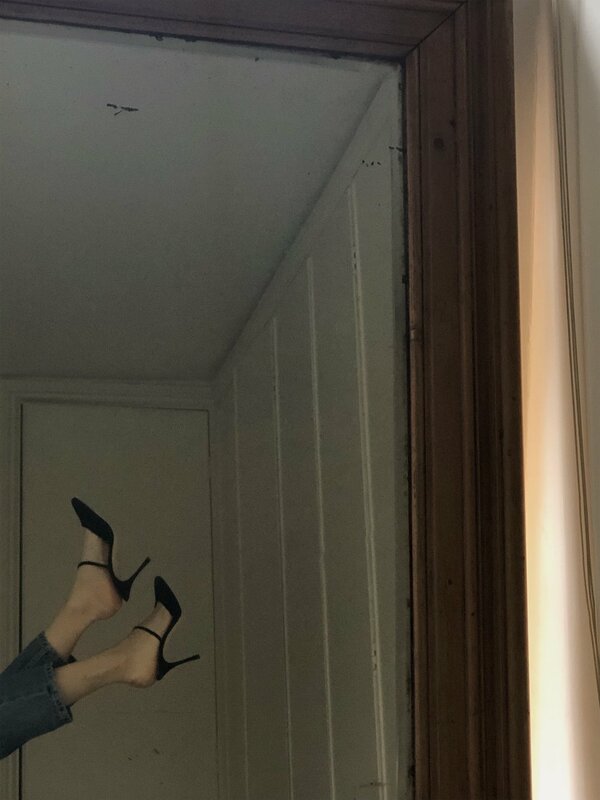 They look amazing with jeans but I think they will look great with dresses and skirts if I have any fancy summer events coming up too! Next up is this gorgeous Chloe bag! I had a meeting with Chloe in Paris on Friday and I was very generously gifted some things, including this handbag! 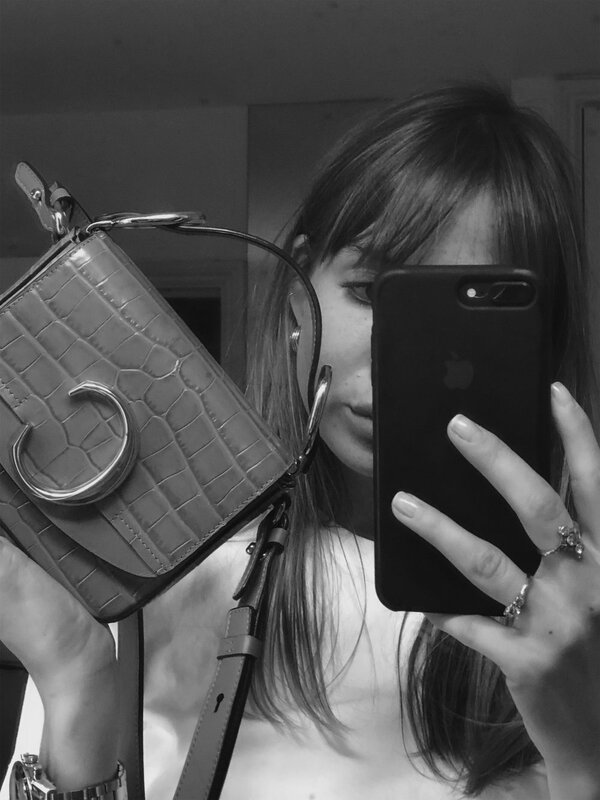 It does come in a bigger size which, if I were to be buying this bag myself, I would opt with - just because I struggle to fit my phone into this smaller size. However, this size is so cute and I have been loving it for some of the evening events I have had on this week. Also the colour just feels perfect for Summer, I think it will look great with white linen trousers and a white t-shirt. Finally! Some perfect shorts!! 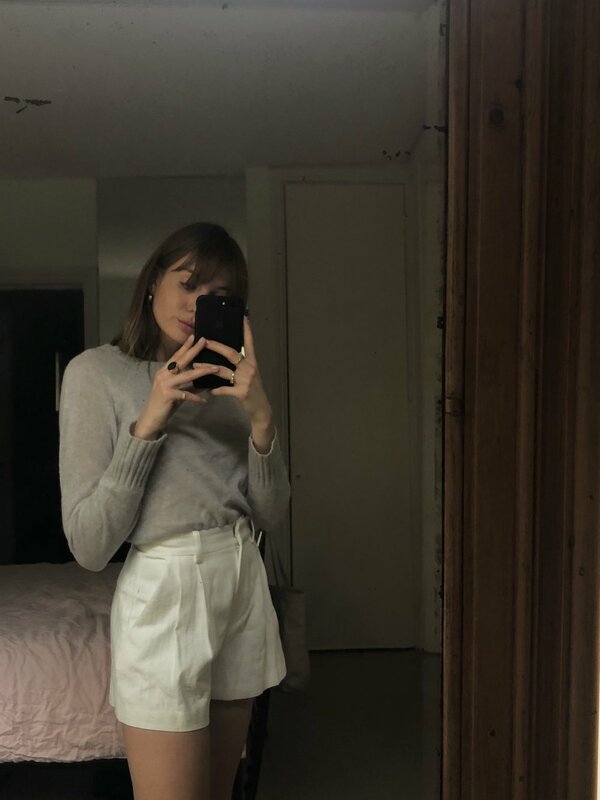 I am on the hunt for shorts at the moment, last Summer I wore my baggy Mango ones so much and I really want more of that style for this Summer too. Bec and Bridge got in touch a few weeks ago sharing their latest lookbook asking if I wanted to pick anything, and I opted for these white shorts. I love the length (not a fan of super short shorts on me) and the bagginess at the bottom with the tighter fitting waist, it’s such a flattering shape and something I can dress down and also dress up!